A carrier is suing Volvo after one of its new natural gas trucks caught fire during normal operation and exploded destroying the tractor, trailer, and cargo. Kane Is Able, Inc., a national carrier, bought seven CNG Volvo trucks last year. About three months later on January 2nd, one of the trucks with about 3,000 miles on it in perfect working condition caught fire and then exploded. According to the lawsuit brought by Kane, the fire “was caused by intense heat emanating from the exhaust system of the tractor which ignited paint, fiberglass and/or other combustibles in the vicinity of the exhaust system.” Once the fire started, it quickly engulfed the cab, the trailer, and the cargo. Luckily no one was hurt in the incident. Along with Volvo, Kane also named in the suit Cummins Westport, the engine manufacturer, and Agility Fuel Systems, who installed the CNG tanks and fuel delivery systems. None of the three companies has been willing to take responsibility for the incident, but Kane alleges that all three companies were aware of the issue of excessive heat coming from the exhaust because of a recall issued a year earlier for similar systems produced by Cummins. After the incident, Volvo paid to have the destroyed trailer towed and has been paying the rental costs to replace not only the destroyed truck, but also the 6 other CNG units that Kane has stopped using as a result of the accident. 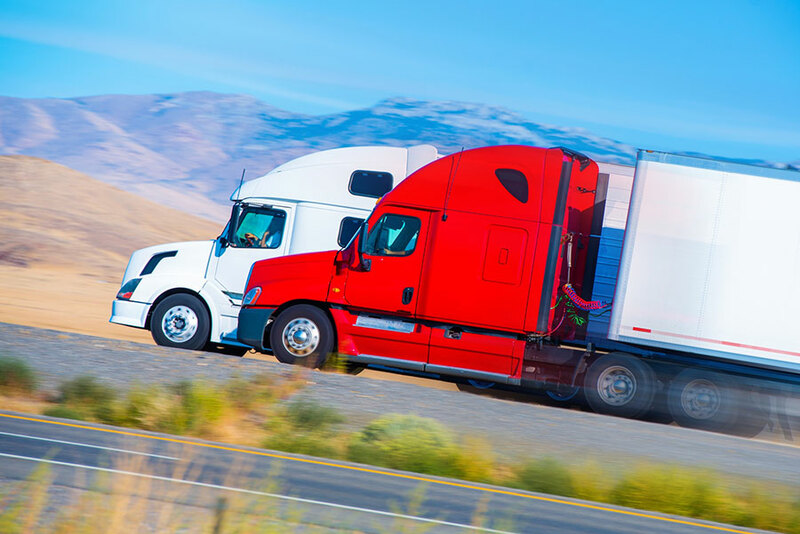 According to Kane and their insurance provider however, Volvo, Cummins, and Agility should be responsible for the total cost of the tractor, trailer, and cargo that was lost. Kane is additionally seeking to recoup the money that they spent on the other 6 CNG units as well. The carrier claims that Cummins acted at the request of Volvo and Agility and that “[The] defendants intentionally modified, altered and/or recalibrated the sensors in an effort to conceal problems with those units” in order to avoid a new recall. You can see the video that a bystander took of the fire and subsequent explosion (at 0:40) below. Next Story: What’s Causing The Increase In Highway Deaths? 8 comments. Add a comment. Hello Volvo makes their trucks out of cheap Chinese made parts. It is a cheap inferior truck or simply said junk. Anything that burns DEF FUEL and AUTOMATIC IS JUNK. America runs on cheap Chinese crap these days but the real problem here seems to be the CNG and LNG trucks. Kane isn’t the only carrier to be having MAJOR problems with the Cummins CNG/LNG engines. UPS is having failure after failure with these engines in Freightliner chassis units. CNG and LNG are DANGEROUS and UNRELIABLE to be using in tractor trailer applications. DIESEL powered trucks are FAR FAR safer and more reliable than the ECO-BOMB CNG/LNG trucks. The “eco geniuses” that came up with the idea of strapping a LNG or CNG high pressure BOMB to the side of tractor trailers should all be fired!! Could you imagine 20, 50 or more these CNG or LNG vehicles being involved in a multi-car/truck pileup? You could see the mushroom cloud 50 miles away when they detonate!! Diesel fueled commercial vehicles are much safer and very very clean burning these days. all these new emission standards trucks are a pile of crap.A company I work for bought new freightliners and they stay in the shop with sensor problems more than they stay on the road..
Why do people have so much difficulty taking a video? Turn your phone sideways (landscape mode–like your TV) and CENTER THE SUBJECT. oh, and hold still for f***’s sake! Volvo had and probably still has a problem with the steering wheel coming apart. American Companies make those parts in China; LOL, and they call Colin Kapaernick unpatriotic. LOL, How Hypocrisy is working at its best. Move the work to China, pay lower wages, then ship it back to the USA AND SELL IT AT TRIPLE THE COST, the US Consumers pays all the taxes and fees, new Volvo truck; $165000.00, WHAT????? Well no wonder the American Family’s are crushed too dust then blown out of existence. How Patriotic; everyone should have sore knees. They have the nerve to call Colin Kapaernick unpatriotic? They know the American People are ignorant and Stupid; they’ll eat anything if package it right with a good sales pitch = FOXNEWS.